DUBLIN — Ireland's government on Monday proposed holding a referendum to liberalize the country's abortion regime at the end of May, offering voters the first opportunity in 35 years to overhaul some of the world's strictest laws. Abortion has long been a divisive issue in once stridently Catholic Ireland, which has witnessed a wave of social change in recent years. It became the first country in the world to adopt gay marriage by popular vote in 2015. Voters will be asked if they wish to repeal the eighth amendment of the constitution that was inserted in 1983 and enshrined the equal right to life of the mother and her unborn child, and to instead enable parliament to set the laws. 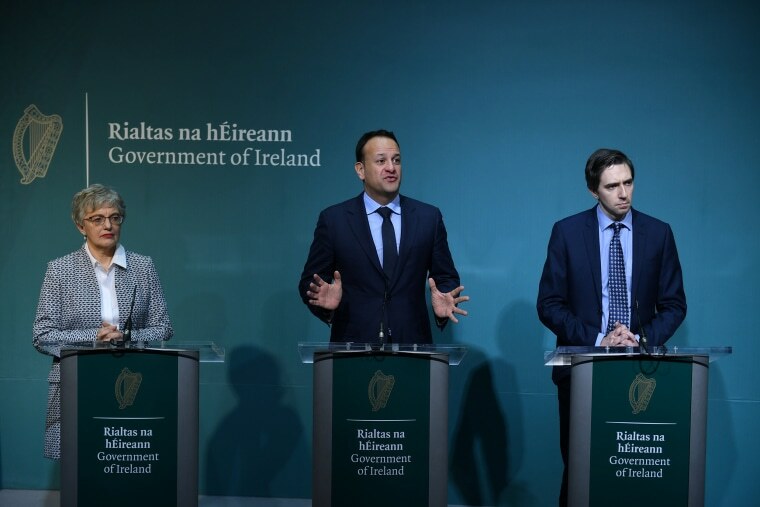 While not on the ballot paper, Prime Minister Leo Varadkar said his government would begin drafting legislation in line with the recommendations made by an all-party parliamentary committee last month, which called for terminations with no restrictions to be allowed up to 12 weeks into a pregnancy. "We already have abortion in Ireland but it's unsafe, unregulated and unlawful and in my opinion we cannot continue to export our problems and import our solutions," Varadkar told a news conference, referring to the thousands of women who travel abroad or use abortion pills to end their pregnancies each year. "I believe that this is a decision about whether we want to continue to stigmatize and criminalize our sisters, our co-workers and our friends or whether we are prepared to take a collective act of leadership to show empathy and compassion," said Varadkar, who will campaign for the laws to change. A complete ban on abortion was lifted in Ireland in 2013 when terminations were allowed in cases where the mother's life was in danger. The debate around that change elicited street protests from both sides and a heated debate is expected in the coming months. Two opinion polls in recent days found that between 51 percent and 56 percent of voters would support a proposal to allow abortion up to 12 weeks into a pregnancy, with just under 30 percent opposed and the rest undecided. However, the polls showed a sharp generational divide with a clear majority of voters over 65 opposed. Analysts have said that those against the proposal are more likely to actually vote and that many of the undecided voters are likely to oppose the changes. For those reasons, pro-choice activists have been pressuring the government to hold the referendum in May to maximize the number of students who can vote before many leave to spend the summer months traveling or working overseas. Nobody under the age of 50 has voted on comprehensive abortion reforms in Ireland. Its 39-year-old leader was not old enough to cast a ballot when a referendum was passed in 1992 to allow women the right to obtain information and travel abroad for a termination.